Dr. Arnold Gold started a ritual 18 years ago called the "White Coat Ceremony" at Columbia University. According to a Wall Street Journal article written by Dr. Sally Satel, the intent of this ceremony flows from Dr. Gold's desire to see doctors "cloaked in compassion" towards their patients. Dr. Gold told these future doctors, "Be the kind of physician that you would want to have if you were sick. "Jesus taught his disciples 2,000 years ago about compassion in Luke 6:31. He said, "Do to others as you would have them do to you. "This simple phrase went on to become known as The Golden Rule. Regardless of whether or not you're a doctor, the Golden Rule is a great lifestyle to apply to your workplace. 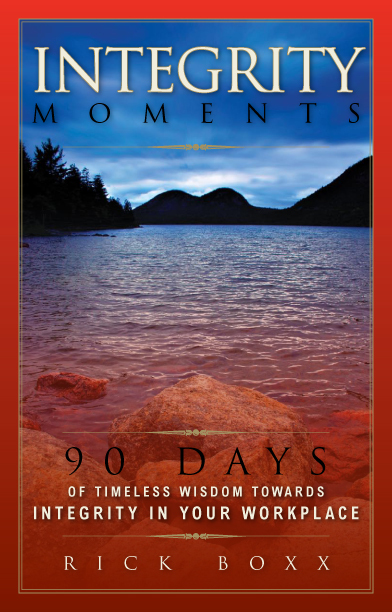 "For more daily wisdom for the workplace check out Rick's devotional book "Integrity Moments". It makes a great gift as well!